In our previous articles, we spoke about understanding what mosses actually are, how they can be used in modern office spaces and old traditions for using moss. 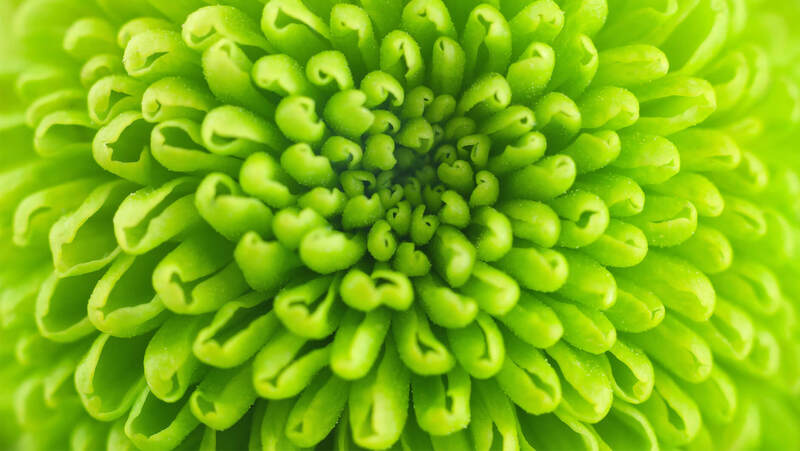 Now, we would like to introduce you to why moss is so much more than just a wonderful wall of soft green luxuriance. Moss is biophilic. This means that it actually has a positive effect on anyone who comes within its vicinity. Although it’s preserved, it has the same biophilic effects as living plants! 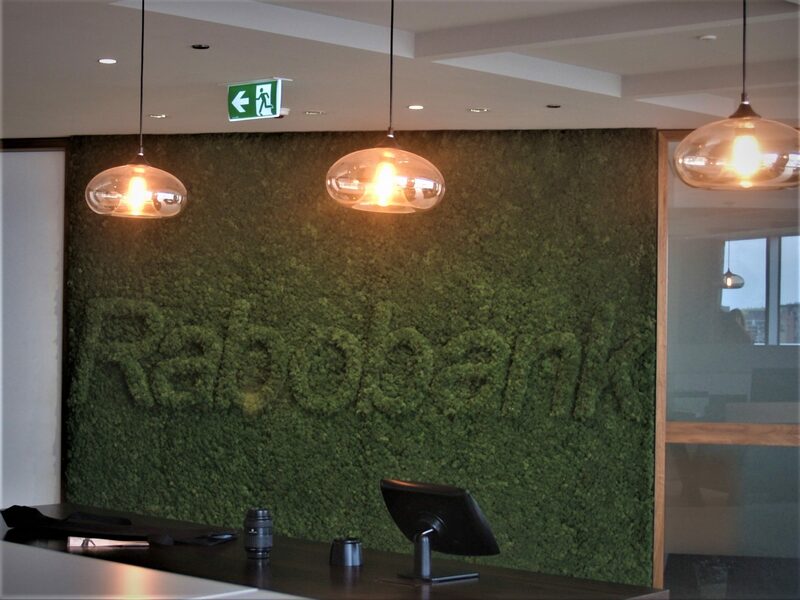 Moss walls offer incredible first impressions that give a point of distinction and tell your clients you are a trend setter and a leader. First impressions count, however the lasting impression will be the biophilic effects on those who see the moss walls every day…the employees and regular visitor to the office or site. Biophilia has nothing to do with the structure or type of moss or plant. It is simply the mind’s way of telling the body that it is happy to be amongst nature. The effects of the moss wall are the same as if it was a living plant or looking at a beach or a mountain scene. One becomes transfixed on it and wants to be around it. Compare a moss wall to a blank painted gyprock wall and you will understand the difference. Biophilia is becoming more common within the built environment as designers and architects are including more ‘green and nature’ within their designs. People not only want to be around nature due to its aesthetics, but because it actually makes them feel better. When people feel better, they tend to be more positive, less negative and angry, and less sick and unwell. 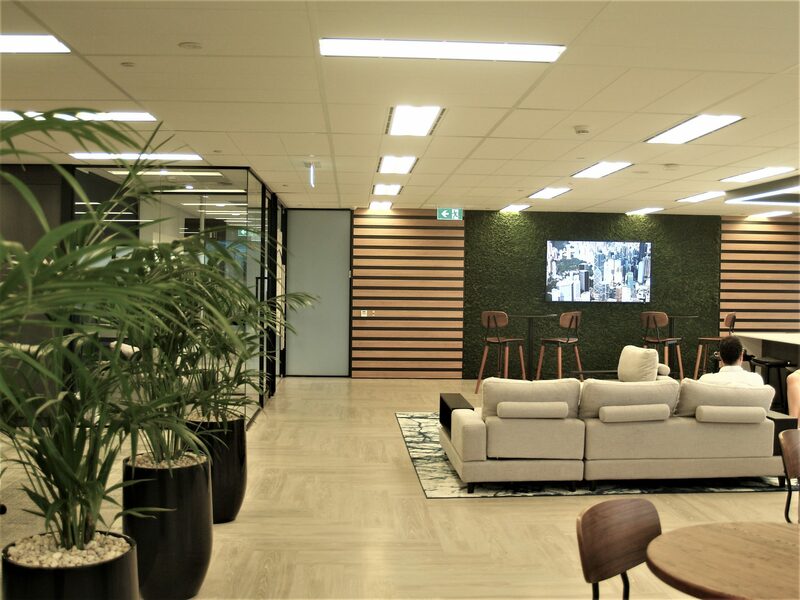 Plants in an office environment have been proven by UTS studies to have psychological effects and it is believed that this is the same as the biophilic effect of having a moss wall. Having staff who are more productive, taking less sick days and enjoying their workspace is a massive advantage for employers. Think of a mundane, old fashioned office with no plants or view, compared to an office with a Moss Wall at the reception and plants around the office. Where would you rather work? These walls require no maintenance and will last many years. 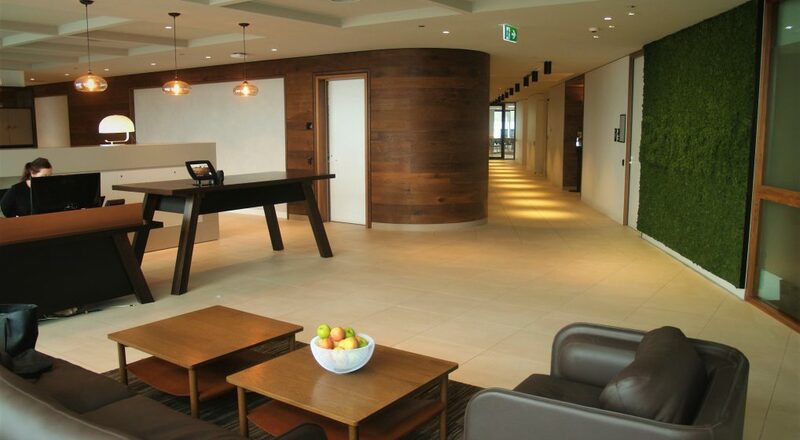 With most new office designs and fit outs lasting an average of 7 years, they are the perfect indoor greenery. They offer a sensation of tranquility and expansiveness and take up virtually no space. The preserved moss is cool to touch giving an additional biophilic sensation. Although not proven yet, there is testing being carried out to determine if there are any other positive effects of the moss. Why does it stay cool to touch? How does it remain so soft? Perhaps the moss is drawing in moisture (with carbon dioxide) and cleaning the air along with the plants in the office. Time will tell, and we will keep you posted on these results. In addition to this with the cost of real estate rising, meaning less and less space, it is obvious that urban planners and designers will look for alternatives with planting and decorating the interior vertically as the most convenient alternative. Moss walls represent the next wave of easily sustainable vertical greenery that is adaptable and completely bespoke for any space no matter how large or small.